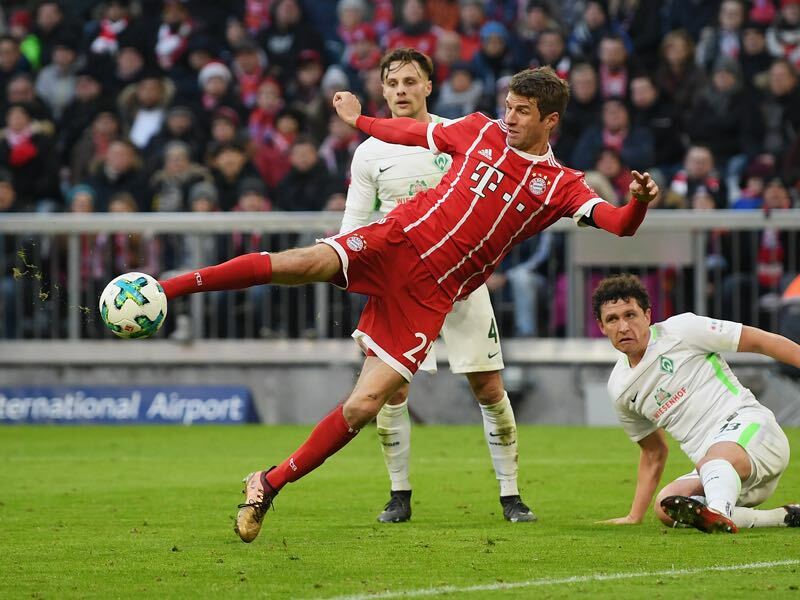 Thomas Müller and Robert Lewandowski score twice each as Bayern München vs Werder Bremen ended with a deserved 4-2 victory to the Rekordmeister. Javi Martínez made his 100th Bundesliga appearance today. Robert Lewandowski scored twice and with 94 goals is the highest non-German scorer for Bayern. Werder came back twice, but could not hold Bayern to a draw. Under pressure, Werder Bremen came to the Allianz Arena with an attacking mindset, and the North Germans had the first chance of the game with Max Kruse getting on the end of a wonderful cross inside the penalty box. The ball beat Sven Ulreich but then ricocheted off the far post. Werder tightly structured defence with an outlook to hit Bayern on a quick counter-attack meant that the first 20 minutes were a bit of a stalemate with Bayern bossing possession, but Werder looking the more dangerous team. Werder also produced the second chance of the game after a corner kick Sven Ulreich failed to clear the ball cleanly with the ball falling to Werder’s Zlatko Junusovic and his shot from outside the box just missed the goal. In the 25th minute, Werder were up front. Max Kruse played a fantastic through ball to Jérôme Gondorf, who escaped Juan Bernat and the slotted the ball through Ulreich’s legs to produce Bremen’s lead. Up to this point, it was an uninspiring performance by Bayern with most of their attacks using Frank Ribéry as the focal point. The French attacking-winger, however, to often opted to go with the head through the wall by attempting to dribble through Werder’s defence, who had little problems dealing with the French maestro. Four minutes before the tea-break Bayern got the equaliser. Jérôme Boateng played a long ball into the penalty box that found Thomas Müller’s chest and the German national team striker brought the ball down, and the hammered the ball home with a brilliant half-volley. Despite the blow, just before halftime, Werder Bremen continued their aggressive play in the second half trying to force Bayern to make defensive mistakes. At the same time the attacking mindset by the North Germans gave Bayern room to attack and in the 57th minute Robert Lewandowski almost made it 2-1 after he got on the end of a James cross with the ball missing the goal by just a whisker. Five minutes later the Polish striker would not be denied. James delivered a perfect outswing corner kick that found Lewandowski’s head, and from just six-yards out Werder goalkeeper, Jiri Pavlenka was without a chance as Bayern took the lead. 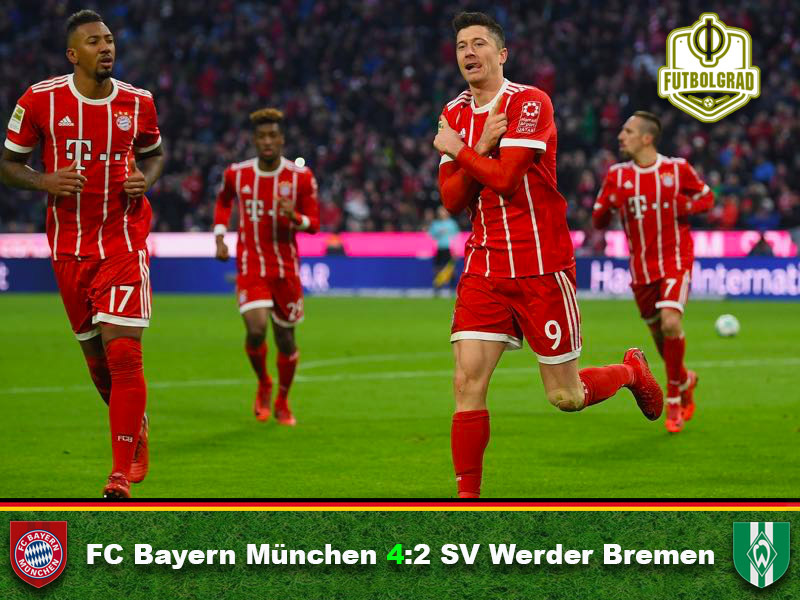 The lead gave Bayern wings, who continued their relentless play creating opportunities inside Bremen’s box with Ribery and Lewandowski having close-range efforts denied in the 70th minute. Werder Bremen, however, did not give up and in the 74th Werder had the equaliser. Max Kruse brought in a fantastic corner that hit Bayern defender Niklas Süle inside the six-yard box and bounced into the goal. It was a fortunate goal, but given Werder’s attacking approach it was a deserved goal up to this point. There were more goals in the game, however, mainly as both teams were relentless in their desire to score. Hence, two minutes after Werder equalised Bayern were back up in front after an excellent Müller cross found Lewandowski unmarked in the box and the Polish striker made no mistake heading the ball home. 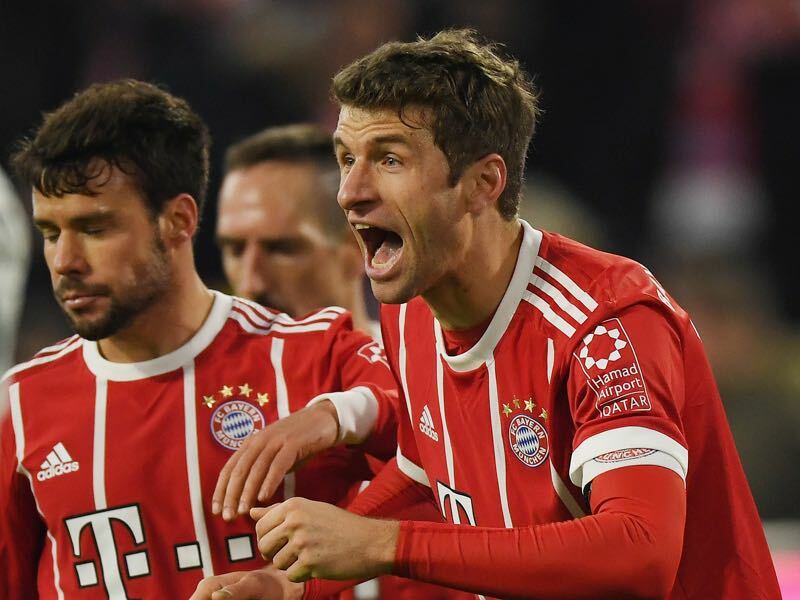 The goal pretty much won it for Bayern, but der Rekordmeister was not done and in the 84th Müller scored again receiving a great lopped pass from James inside the box making no mistake slotting the ball through Pavlenka’s outstretched legs. It was punishing by Bayern and Werder probably deserved more that afternoon, but Bayern were too clinical for the North Germans and could have perhaps had another goal or two. Thomas Müller is slowly but surely regaining his form. The German national team forward scored two goals and one assist and was the key player in Bayern’s hard fought victory against Werder Bremen. Playing in his Raumdeuter role right behind Lewandowski, and later in the match behind Sandro Wagner, Müller was present all over the pitch. With Köln regaining its form and winning their third match in a row the likes of Werder Bremen and Hamburger SV are feeling the heat in the relegation battle. Werder, therefore, came into Munich with a positive match plan trying to take the game to Bayern. Although Bremen played fantastic football, the attacking approach did not pay off, and Bayern managed to get all three points for the 15th time in a row against Bremen, who are now just four points ahead of Köln in the standings. Lewandowski has now scored ten goals in seven games against Werder Bremen. Bayern München have never lost a game in which Thomas Müller scored: W74 D4. Javi Martínez played his 100th game today.